IT SHOULD COME AS NO SURPRISE THAT AMELIA ISLAND IS a refuge for visitors in search of a quick escape from the overwhelming crowds of the mainland. The island, which rests peacefully off the northeastern Florida coast, a 20-minute ride from the Georgia border, first earned its reputation as a haven 4,500 years ago, when ancient Indian tribes praised its unparalleled beauty. Since its discovery, people from around the world have fled to Amelia Island in search of its trademark tranquility and charisma. This veritable pot of gold, with immaculate beaches, stunning scenery and world-renowned golf courses and tennis courts, enjoys an average annual temperature of a comfortable 69 degrees. Only 13 miles long, it-s easy to see why the island-s condominium community is growing dramatically, as people in increasing numbers find this well polished jewel of the Atlantic Ocean. 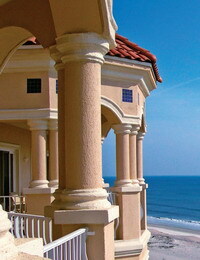 Amelia Island is home to many luxurious condominium communities, including Beachside Villas. Located within the 1,350 acres of breathtaking nature that is Amelia Island Plantation - a housing and resort community on the southern end of the island - Beachside Villas sits along the ocean, offering its residents panoramic views of the magnificent Atlantic. Composed of three separate buildings, each with 21 units, these condos feature three large bedrooms with spacious balconies and state-of-theart kitchens. The condos are within easy walking distance of top-rated tennis facilities and golf courses. Even with price tags ranging from $1.7 million to $2.2 million, it-s easy to see why Beachside Villas condos are in demand. "Amelia Island has many beautiful condos and Beachside Villas is among its best," says Craig Bennett, a real estate agent with Amelia Island-s RE/MAX Professional Group. "The views can-t be beat and each unit is very elegant." 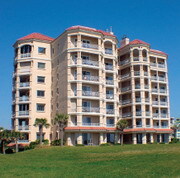 Beachside Villas is just one of many condominium communities on Amelia Island. The isle is home to approximately 2,500 condos, ranging in price from $350,000 to $2.5 million per unit. "The area certainly is in demand," Craig states. In fact, Amelia Island is in such demand that some communities are selling out before construction is complete and others are holding lotteries to meet the public-s insatiable demand. 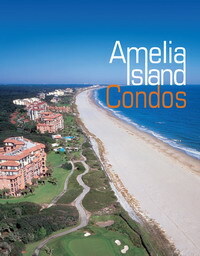 In 2004, Amelia Island Plantation held a lottery for its Tennis Villas complex, a new development of 1,425 square foot units. By 11 a.m. on day one, 61 entrants had put their names in the drawing, all competing for the 18 available condos. The competition was over in 35 minutes, and the lucky winners received more than just a new address - they were given a $20,000 pre-construction discount and a year-s membership to the Amelia Island Club. To simply say that Amelia Island is in demand is an understatement. People are literally standing in line and crossing their fingers, hoping they will be fortunate enough to call the island home. Among those eager for a change of address are new retirees looking for the perfect place to enjoy the latest chapter of their lives. In response to this growing market, a condominium community has been established exclusively for retired people who either need assisted living or seek a deluxe housing area near neighbors of the same age. Osprey Village, on Amelia Island Plantation, is a unique combination of condo-style units and individual homes, creating a friendly neighborhood environment for people in search of a relaxing retirement. Because Amelia Island attracts a diverse group of people, the amount of time people spend there varies drastically. According to Craig, the population fluctuates throughout the year because only about one-third of the island-s residents actually live there year-round. The remaining two-thirds spend three to six months out of the year on Amelia Island or, if they live close enough, enjoy their second home on extended weekends. "People from all over the world own homes here," Craig states. "Many people live in Atlanta and own property here. They drive in on the weekends since it-s so close. It gets them out of the city and they love it." To accommodate the island-s influx of people and housing communities, restrictions have been established to protect the area-s majestic scenery. Since 1971, Amelia Island Plantation has enforced the "In Harmony With Nature" plan, which strives to maintain the optimum fit between man-s habitat and the existing natural environment. This strategy aims to preserve the island-s centuries-old oak trees, tranquil salt marshes, captivating forests, tidal marshes, ocean-front dunes and grasslands by not overdeveloping areas and asking residents and visitors to be respectful of Mother Nature. One of the main concerns addressed when creating a new community on Amelia Island is how it will impact the island-s picturesque environment. Craig says it is every developer-s goal to make sure each structure is gently set within nature-s arms instead of distracting from her beauty. To ensure this philosophy, Amelia Island-s city and county governments have established covenants to protect the island-s superlative landscape. For example, buildings under the county-s jurisdiction, including Amelia Island Plantation, can be a maximum of seven stories tall, while the city-s buildings can reach only three stories into the Florida sky. "It really does help maintain the beauty of the island," Craig explains. "The buildings blend in with nature instead of being an overpowering eyesore, like at some resort communities. It-s not your typical barrier island environment and we want to preserve it for many years to come." People are not only going to great lengths to preserve the island-s pristine beauty - they also are bringing it into their living rooms. According to Rita Scholz, an interior designer with Amelia Interior Design, Amelia Island-s condominium communities are just as vibrant and decorative inside as outside. "The island is known for its natural beauty," Rita says. "Lots of people come here because of it." Since the island itself is so beautiful, many people choose interior designs that amplify the natural environment that surrounds their condo, Rita says. To accomplish this task, Rita implements numerous techniques, including installing decorative window treatments and filling areas with tropical colors, all of which allow the outdoors to seamlessly flow indoors. To strengthen this maritime motif, Rita often includes custom rugs depicting shells and sea life, in addition to strategically placing artwork that reflects the island-s scenery. Because Amelia Island is home to a wide variety of artists, Rita says she never has trouble finding unique art to put in her clients- houses. Recently, she installed a life-size sculpture of an osprey by Leland Brewsaugh in the foyer of a home. "The sculpture was the space-s centerpiece and hung in the middle of the room," she says. "It really looks like the bird is soaring through the air above you as you walk through the front door. It-s absolutely beautiful." Rita is hesitant to associate Amelia Island with one particular sense of style. "It-s not deep south and it-s not southern," she explains, adding that the island borrows elements from both, creating its own distinctive flair. Not everyone favors this flair, Rita says, pointing out that an increasing number of people are choosing contemporary and traditional styles for their condos. She adds that she has noticed a growing trend in transitional motifs, which, based on certain pieces of furniture and décor, allow a room to transition into either a more traditional or contemporary style. This versatile method is becoming so popular, the last home Rita decorated in a blend of traditional furniture with contemporary fabric sold in just five days. "It was remarkable," she exclaims. Amelia Island is known for far more than just its spectacular scenery and style. Home to some of the top-ranked tennis facilities and golf courses in the nation, many of the island-s resorts and clubs feature pristine tennis courts, including Racquet Park at Amelia Island Plantation. Once referred to as the Wrigley Field of tennis sites, this impeccable facility hosts the annual Bausch & Lomb Championships. The premier woman-s professional tournament attracts more than 56,000 fans each April to watch tennis- best athletes compete for the title. Last year, superstar Lindsay Davenport won her second consecutive championship. "It-s a great event," Craig says. "It really brings a lot of energy to the island." For those less concerned with tennis and more interested in golf, Amelia Island is paradise. The isle boasts six championship courses spread out amid its lush natural beauty. With accommodating weather and dazzling terrain, Amelia Island has a fine collection of courses, with bright emerald greens that hug the shore of the Atlantic Ocean. Among the island-s world-renowned courses is The Golf Club of Amelia Island, an 18- hole PGA championship course located in the rolling green hills high above the island-s white beaches. Designed by golf professionals Mark McCumber and Gene Littler, its tropical greenery, elevated tees and greens, gently undulating fairways and picturesque waters distinguish it from other courses around the globe. And while its famed golf courses and beaches make Amelia Island a genuinely unique place, something that sets it apart from other sections of the country is that, at different times, it was dominated by eight different entities. Having passed through the hands of France, Spain and England before eventually landing in America-s possession, Amelia Island-s tangled history can best be summed by stating, "The French visited, the Spanish developed, the English named and the Americans tamed." To commemorate the tiny island-s large historical impact, Amelia Island hosts an annual festival honoring its heritage. And what a rich heritage it has. Amelia Island was first discovered as early as 2,500 BC by Timucuan Indians and was named by the British in honor of Princess Amelia, daughter of King George II, in the 18th century. The Palace Saloon opened its doors in 1878, serving drinks to thirsty customers, and remains in business today as Florida-s oldest operating saloon. It is rumored that the Palace was the last tavern in the United States to close during Prohibition, and as a result, started serving ice cream, a tradition that continues today. With such a remarkable history and stunning environment, it-s easy to see why people are flocking to Amelia Island. They aren-t alone. The island is home to many different types of wildlife, including two endangered species. Each year the loggerhead turtle and the northern right whale return to bear their young and entertain throngs of ocean-life lovers. "The wildlife throughout the island is beautiful," Rita comments. "Many times, you can be driving down the road and see an egret flying around or a group of dolphins swimming nearby in the ocean." Once considered to be a great secret, an increasing number of people have discovered for themselves the lure of this tiny island. Not only has Amelia Island been hailed as one of the five best resorts in North America by Condé Nast Traveler for many years, it has also garnered presidential attention. While he was serving in the White House, President Clinton visited Amelia Island, bringing international attention to the reclusive island. It appears the secret is out.